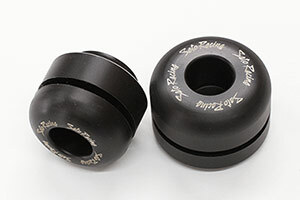 SATO RACING Front Axle Sliders , Rear Axle Sliders and Fork Bottom Sliders utilize slider pucks made of tough, abrasion-resistant black DELRIN plastic for maximum protection if you slide on the track. 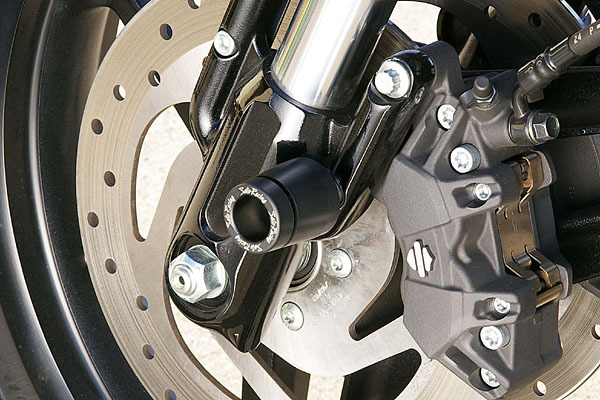 Front Axle Sliders help protect the front wheel, fork and brake parts from damage. 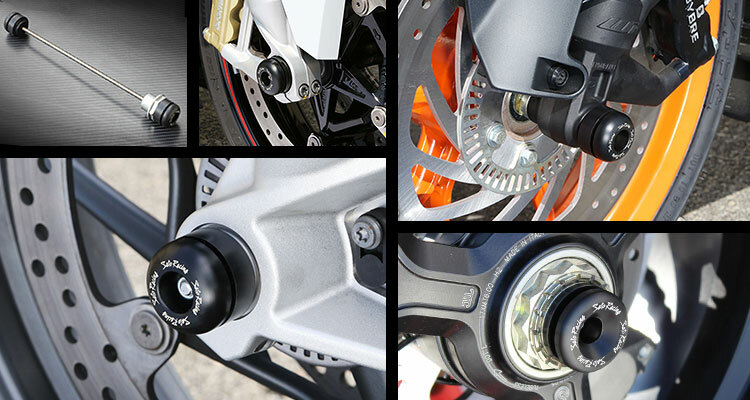 For many models we also make Rear Axle Sliders, which protect the rear wheel and swingarm. Axle Sliders are held securely in place with stainless steel through-bolts. We now carry a full selection of replacement Slider Pucks for all our Axle Sliders. Click Here for details. Need a new replacement Slider Puck for your SATO Axle Sliders? We now carry a full selection of Slider Pucks for most models of our Axle Sliders. Click Here to see our current inventory of replacement Slider Pucks. To view the parts list diagram for your model of Axle Sliders, Click Here . SATO RACING Fork Bottom Sliders are made of tough, abrasion-resistant black DELRIN plastic for excellent protection of the fork area if you slide on the track, with aluminum collars and chrome molybdenum bolts. Attaches to the brake caliper mount holes on the fork.